When I retired from full time work 2 years ago. I told everyone that I planned to go quietly and not hang around at Conferences like a bad smell. I have seen too many in the housing sector do this. One of the saddest sights I ever saw was in the Palace of Westminster late one evening when I encountered Harold Wilson wondering around like a lost soul. So why am I here today? The answer is simple. I became angry. I became angry at the demonization of the poor especially those that live in social housing. I became angry at the demolition of the welfare state which had provided my home my health and my education. And I became angry at what I have described as the slow death of social housing and the lack of response from our leaders to speak out on its behalf. It is not a memory it is a photo of a memory. Sometimes they are the same thing as one triggers the other. It is Christmas morning 1954 and I am proudly driving a toy tractor along the path in front of our council house on Bonney Road in Leicester. There is a frown on my face and I do not look happy. Maybe I have already travelled too far from the safety of home. I had no reason to be worried. There in the corner of the photo looking out of the front door is my Mam. Watching from the touchline. #UKhousingfast gets the Simplicity seal of approval! He eats his words! 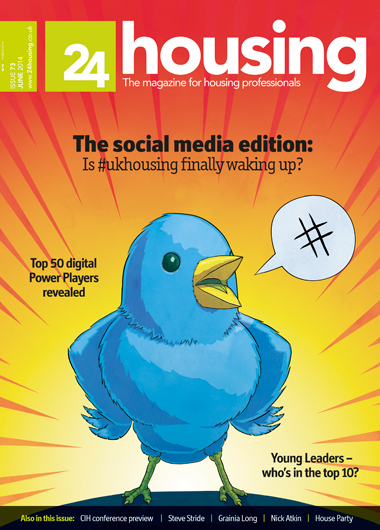 A blog I wrote to support #ukhousingfast on 15th July – please get involved! When I was asked to support the #UKHousingFast campaign I did not hesitate to say yes. Born out of a conversation on Twitter (like all the best campaigns!) it was the brainchild of UK Housing colleagues observing the month of Ramadan. The idea was simple, but really effective – fast on 15th July to show your support and raise awareness or money for a charity of your choice. Damning indictment of UK housing at the moment that an idea so obvious, basic and natural has to be held up as a shining example? OF COURSE we need to get the experts in to do what the experts are expert in… I hope more people start to think like Neil as I like working with people with as passion and focus. Poor Jancye isn’t an IT expert, neither am I,so why expect her to solve the sectors issues and innovate new ideas around IT systems? I do believe operational staff MUST feed into IT systems, as there’s nothing worse than something being delivered fully formed having been designed purely from an IT bells and whistles stand point. But Let Jancye be good at what she does, the IT bods do what they do and people like Neil can carry on with the blogs, and filling up the swear jar.. If housing was given its end of year report there is one area that would, consistently, get a ‘must try harder’ mark, IT. However, a bit like the overweight kid secretly helping themselves to extra pie in the small hours, we are in serious denial as a sector, both about where we are in terms of using IT, and where we should be. We need to get much better at highlighting the social and economic benefits of social housing. I mean really, this should be selling itself! That it doesn’t speaks volumes about the attitude of people and the mountain of work in front of us… Want to go 5 for 5 and let me know who will win the World Cup! Great blog Neil, spot on. I do understand. This blog highlights the issues I was having with the studs and the reaction to them on twitter and Facebook. Quite rightly it was met with revulsion but after a bit I did start to think that perhaps we were angry with the studs as a symptom rather than looking at the cause.perhaps because the cause is much more difficult to sort out. It’s 2014, people shouldn’t be desperate enough to need to seek shelter in doorways. We need to look beyond the studs and ask why this is still the case. Why aren’t we building enough affordable homes? Are there enough hostel places, accessible accommodation? The policy is the bad guy here,not the studs. Perhaps we would help more people if we questioned that? Great post, a lot of food for thought. 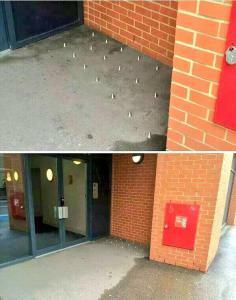 Anti-homelessness studs installed outside flats in London to deter rough sleeping have prompted outrage…but the studs only point to a more fundamental issue we must address. There is a new addition to a set of privately-owned flats on Southwark Bridge Road, London – inch-long metal studs installed into an area of sheltered concrete floor outside the communal entrance. According to the residents, the studs were installed with the intention of deterring homeless people from sleeping rough in the doorway. “There was a homeless man asleep there about six weeks ago. Then about two weeks ago all of a sudden studs were put up outside. I presume it is to deter homeless people from sleeping there.” – Resident, speaking to The Guardian newspaper. Im really happy to Vote for Helen, she’s doing great things on social media and I find her inspirational in how she works to make links, as you know this is the basis for everything I’m trying to do too. Also, I do agree with the weird moment you are actually nominated for something you do try to do well. 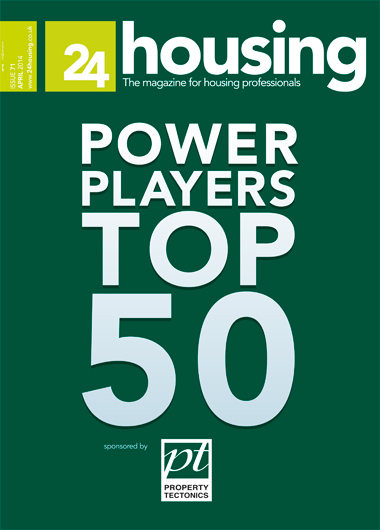 its such a lovely moment To get that recognition at any stage- When people started mentioning me for the (alternative) power players I genuinely wondered why and thought they were just being sweet – although I could certainly see why the others were nominated. So, good luck to Helen, and well done to all the others on the list. Keep up the amazing work, you deserve the recognition! b) ponders why talented people are so modest. I’ve been added to the 2014 Digital Leaders 100 list! I’m very honoured. It’s open to a public vote and I would like you to vote for me! I’d like to think my work in Monmouthshire last year covers this – from leading a team to launch a low budget council corporate website with a difference, to championing and using social media to promote openness and democracy.